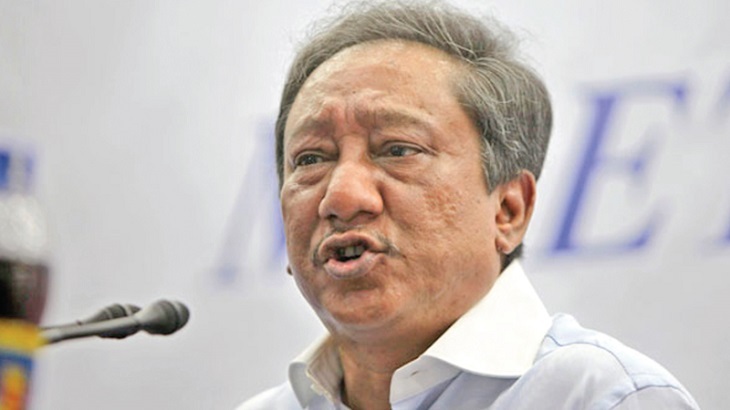 Bangladesh Cricket Board (BCB) President Nazmul Hasan on Tuesday said there is no chance of any surprise inclusion in the World Cup squad of Bangladesh. "I don't see any scope of a surprise inclusion in the World Cup squad. We'll announce a 15-member team, and most of the names have already been finalised. We'll have two openers alongside Tamim (Iqbal), and they could be Liton (Das) and Soumya (Sarkar). After that, we'll have Shakib (Al Hasan), Mushfiqur (Rahim) and Mahmudullah. These are six completed. We're thinking about three main pace-bowlers, and they are Mashrafe (Bin Mortaza), Rubel (Hossain) and Mustafizur (Rahman)," he said. "You can't go to the World Cup without having two extra pacers and they could be Taskin (Ahmed) and (Mohammad) Saifuddin. We have Mehidy (Hasan Miraz) as a specialist spinner. At the same time, we need to find two players for the back-up of the middle-order, and they could be Sabbir (Rahman) and (Mohammad) Mithun. So, I don't see any chance for the new guys. Some players are doing well in domestic cricket but there're many differences between domestic and international cricket," Nazmul Hasan further said. "We have Sabbir, Miraz or Saifuddin who can bat at number seven. At the same time, we also saw Soumya batted at the down of the order. If we play Liton as an opener with Tamim, we may consider Soumya for the number seven. Apart from it, we have Sabbir or Saifuddin as well," he told the media.